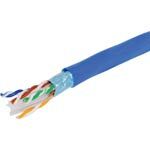 Altronics offers a range of cabling to suit general electronics use as well as high tech audio visual/data installations. 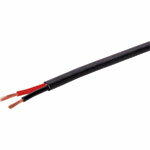 We also carry a full range of heatshrink tubing. ACMA approved. 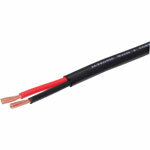 Solid copper conductors. Supplied in handy 100m roll. 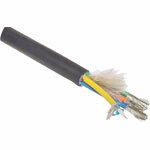 STP - Shielded Twisted Pair. 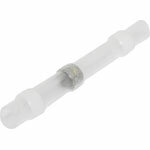 Double insulated and gel filled to reduce corrosion when run underground. For longevity a conduit is recommended. Metre marked. UV Stabilised. 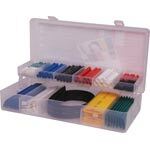 Heatshrink tubing fitted with central ring of solder which melts when heat is applied, allowing you to join two cables with minimum fuss! 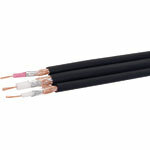 RGB HV cable for high quality video as used in home theatre, commercial video & computer applications. 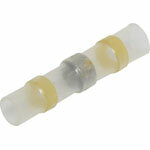 For BNC connectors to suit, see P 0525. 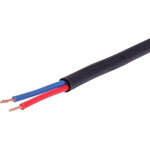 130mm to 1m lengths of red, black, blue, white, yellow and clear heatshrink. 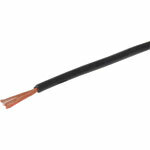 Sizes 2.0, 4.0, 4.5, 5.0, 6.0, 8.0, 9.0, 10, 12 and 18mm (sizes given are diameters, measurements are not made with the heatshrink flattened) before shrinking. 2:1 shrink ratio. 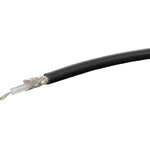 Low loss stereo audio cable with central video transmission cable. 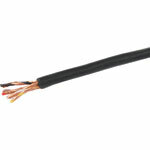 Twin shielded with copper braid and mylar foil.